Opening two blocks from the ocean in La Jolla Shores later this year is the fourth San Diego outpost of Krispy Krunchy Chicken, a national, fast-food Cajun fried chicken and fish chain with more than 2,000 locations. 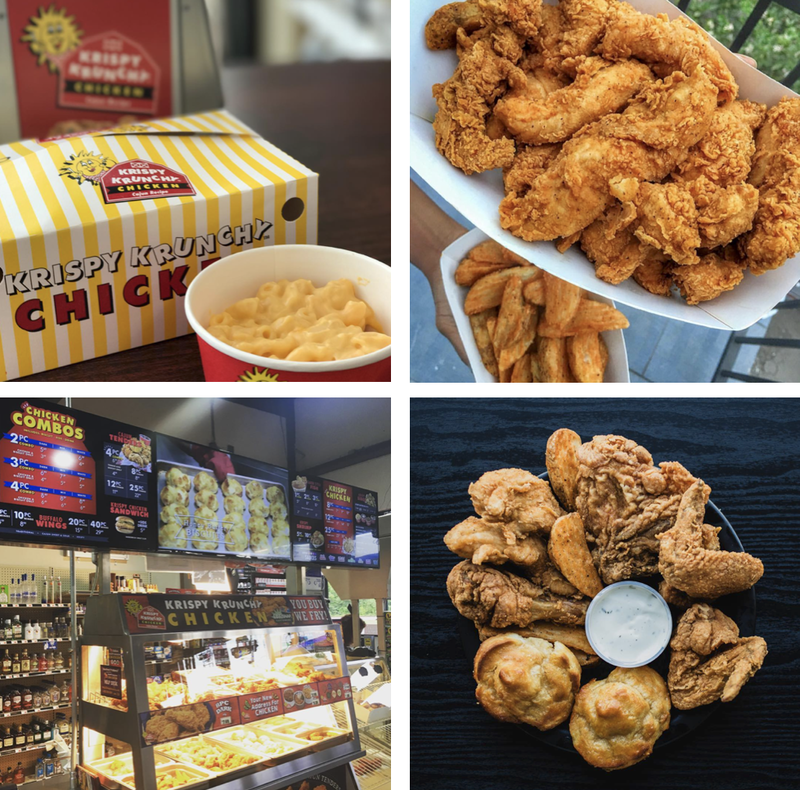 Neal Onebane installed the first outpost of Krispy Krunchy Chicken within one of his convenient stores in Lafayette, Louisianna in 1989, and the brand now has more than 2,300 retail locations in 41 states, as well as outposts in Malaysia and American Samoa. True to its roots, Krispy Krunchy Chicken's Cajun-marinade-injected chicken continues to be primarily sold inside gas stations and convenience stores around the country, offering an unconventional franchise model where franchisees only pay for the equipment and graphics, with no franchise fees or royalty fees - and all training is free. Operators order their inventory directly from the company's distributors but are able to keep the money they make from sales, making it an attractive investment for aspiring entrepreneurs. Soon, Krispy Krunchy Chicken will open its first location in Mexico and is currently contemplating opening in the Caribbean. The new San Diego location of Krispy Krunchy Chicken will be owned and operated by Krispy Krunchy Chicken La Jolla Inc. and will open in the La Jolla Shores space that last housed Jeff's Burger. Like other branches, the La Jolla location will offer a menu of classic comfort foods including fried chicken, chicken tenders, Buffalo wings, fried seafood, sandwiches, honey biscuits, mac 'n cheese, mashed potatoes and much more. The other San Diego branches of KKC are located in East Village, La Mesa, and inside 99 Ranch in Clairemont. Krispy Krunchy Chicken is installing at 2152 Avenida De La Playa in La Jolla Shores and aims to open by this Summer. For more information, visit krispykrunchy.com.